It’s no secret the internet is teeming with life hacks. Whether you want to learn how to more easily fill a bucket, how to repair damaged clothing, or how to repurpose old stuff into shiny new gadgets, the internet is here to teach you all the tips and tricks out there to make your life easier. And YouTuber Robby is here to see which of those hacks actually do make life easier. 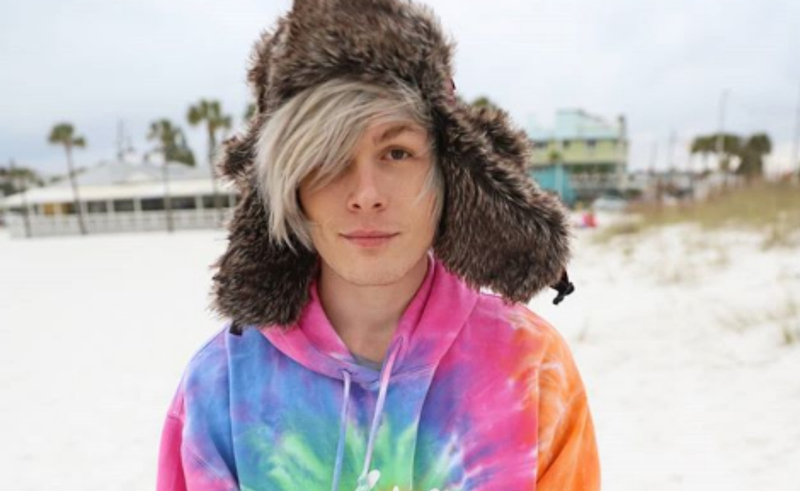 Robby, who’s 24 and goes solely by his first name, has been a YouTuber for seven years, but it was in 2016 that he really dove into making YouTube a full-time venture. For a while, his primary fare was trendy challenge videos — things like taking a dip in a chocolate bath and clothes-swapping with his girlfriend. But 2017 was a tough year, he says, and in 2018 he took a break to reevaluate what he wanted to do with his channel. And that, of course, brings us to crowning Robby as an official YouTube Millionaire — although it’s definitely worth noting that since he sat down to talk with us, he’s already gained an additional 500,000 subscribers. Check out our chat with him below. Robby: It’s really exciting. My team and I worked really hard to make this happen. I’ve been doing YouTube for over seven years, and it’s been a goal of mine to hit a million subscribers since I started getting serious about my channel. 2017 was a really rough year for me. I am glad that, for the most part, I was able to continue doing YouTube and not work a traditional job. I kept making videos and my viewers kept supporting me. I am very grateful to be where I am. Tubefilter: Tell us a little about your background! Where are you from? Are you in school? What made you choose YouTube as the place to share your content? Robby: I grew up in California and have always loved being outside. One of my favorite TV shows was Ninja Warrior. The reason I got into YouTube was to learn how to be comfortable on camera. From there, I learned to love how cameras work, as well as how to edit and do special effects. I like YouTube because of the community. I’ve been going to VidCon since 2011 and love meeting like-minded people. Tubefilter: What do you think makes your voice stand out despite all the noise on YouTube? Tubefilter: What got you into doing DIY videos? Have you always been crafty? Robby: I decided to take a month off from YouTube in 2018. During this time, I delivered food part-time and spent a lot of time thinking about what kind of videos I want to make. I thought about all of the things I am really good at. Ever since I was little, I have been making things. I started using a hammer when I was five. When I was 12 years old, I had already built three treehouses. When I came back from hiatus, I decided to try something new with my channel and build something with my hands. So I started testing crafts and life hacks that I saw going viral on YouTube. Tubefilter: How do you decide which DIY projects to feature? Have you ever worked with a partner or sponsor for a DIY project? Robby: I look for the most ridiculous crafts I can find and genuinely want to find out if they work. I have never worked with a partner or sponsor on my craft videos. It’s just genuine curiosity which is why it’s so much fun. Tubefilter: What’s your production schedule like? Do you have a regular filming and upload schedule? Many of your videos seem like they took LOTS of effort—like Trying 30 Weirdly Cool Life Hacks. How long did that video take you to produce? Robby: My production schedule is pretty busy. I rarely take a day off and am often working eight to 12 hours per day. Each video requires 30 hours of manpower on average, so I often work with an editor to speed up the process and get videos out as often as possible. Trying 30 Weirdly Cool Life Hacks was filmed, edited, and published in less than 24 hours, and required two editors and myself working around the clock to finish. Robby: YouTube is definitely a full-time job. However, when I am not doing YouTube, I love to be outdoors hiking, running, camping, fishing and skateboarding. I love to be outside. Robby: I feel much safer on YouTube than other platforms. I think it has an incredible community, better than any other platform I have used, and I see it becoming more popular than television in the future. Robby: More crafts! More videos! And hopefully more success in the future. I want to build a happy community around my content and have fun making videos with my friends. Robby is a Fullscreen client. You can add yourself to the ranks of Robby’s more-than-a-million YouTube subscribers at his channel YouTube.com/Robby.